DURHAM, N.H. -- A new national study conducted by the University of New Hampshire finds that two-thirds of school-age children in the United States have received some formal bullying or violence prevention program, and it has made a measureable difference for some of them. The researchers found children ages 5 to 9 who had received higher quality prevention education had lower levels of both peer victimization and perpetration. Education was also associated with more disclosure to authorities. “The good news in these findings is that we see some of the safety improvements that the programs are intended to produce,” said David Finkelhor, director of the UNH Crimes against Children Research Center, professor of sociology, and lead author of the study. Finkelhor noted that various national surveys have shown declining rates of peer victimization over the last decade. The research results are reported in the article “Youth exposure to violence prevention programs in a national sample” in the journal Child Abuse and Neglect. In addition, to Finkelhor, the study is authored by UNH Crimes against Children Research Center researchers Jennifer Vanderminden, Heather Turner, and Anne Shattuck, and Sherry Hamby with Sewanee the University of the South. The study failed to find reduced victimization and perpetration among the youth ages 10 to 17 who had higher quality education. Nonetheless, these older youth did make more disclosures about victimization to parents and authorities, suggesting that they had learned something of value. The study suggested there was ample room to improve the programming that young people are receiving. The majority of the programs child received in schools and elsewhere were just a single day presentation with no opportunity to practice. Research has shown that, to be effective, programs need multiple presentations, information to take home, and opportunities to practice, hallmarks of the kind of programs that were associated with improved safety in the present study. 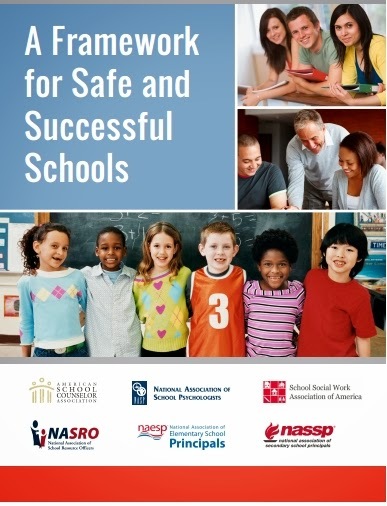 Many programs to prevent violence have multiplied in schools, churches and other environments over the last two decades. These programs cover a multitude of topics from kidnapping to Internet safety. The new study found that programs targeted at bullying are the most common at the present moment. The study, the National Survey of Children Exposed to Violence, was funded by the U.S. Department of Justice, and conducted interviews with a representative sample of parents and children in 4500 families nationwide. Technology and social media guru, Danah Boyd, discusses her book, It's Complicated," at Politics and Prose in Washington, D.C.
View or download the report and access additional CCRC publications on Internet crimes. Learn more about the OJJDP-funded Internet Crimes Against Children Task Force program. The Office of Juvenile Justice and Delinquency Prevention is a component of the Office of Justice Programs in the U.S. Department of Justice. Subscribe or unsubscribe to JUVJUST and OJJDP News @ a Glance. Browse past issues of JUVJUST and OJJDP News @ a Glance. 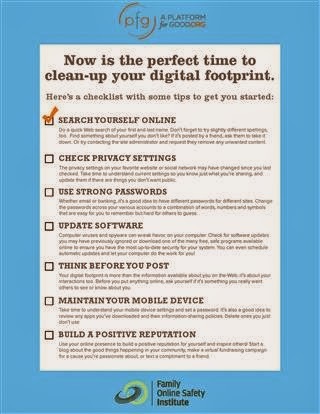 Looking to improve your digital footprint? Here are seven easy tips that cover everything from checking your privacy settings to thinking before you post. Just download the list to get started on building a safer and more responsible online presence. Problematic apps that are popular with kids and full of inappropriate content keep popping up. It's like a game of whack-a-mole: just when you get a handle on one and smack it down, another one pops up. 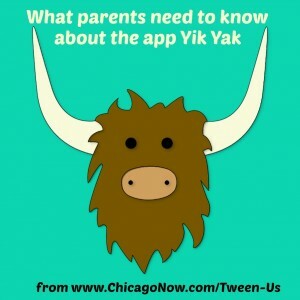 The latest offender: the app Yik Yak. The Internet is so vast and uncensored that it is capable of plaguing the young minds if the parents do not play their role in making sure that the bad websites are being filtered and blocked ,if you currently have no content filtering you can use DNS Angel, it will protect your family from inappropriate websites and will Block them Automatically (without Installing any Software) it is Freeware and Portable , Children Are Our Future , Please Protect them.